Chia-Chi Wang, DO, a fellowship-trained surgical oncologist, has joined the Beebe Medical Staff and is seeing patients at Beebe Surgical Oncology at the Beebe Health Campus, 18947 John J. Williams Highway, Suite 205, Rehoboth Beach. She also joined fellowship-trained, surgical oncologist James E. Spellman Jr., MD, who is in the same office. Her arrival to Beebe Medical Center has led to the expansion of the hospital’s surgical oncology program. Dr. Wang is a member of the Beebe Physician Network, a not-for-profit, multispecialty medical group affiliated with Beebe Medical Center. She can be reached at (302) 644-0964. 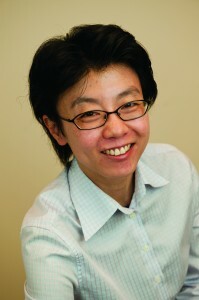 Dr. Wang earned her undergraduate degree in chemical engineering from Rutgers University. She earned her medical degree from the University of Medicine and Dentistry of New Jersey (UMDNJ), School of Osteopathic Medicine. She completed her residency in general surgery at UMDNJ, New Jersey Medical School in Newark, New Jersey. While in residency, she also spent two years in basic science research on hyperthermic Intraperitoneal chemoperfusion (HIPEC) in the department of Surgical Oncology. She completed her fellowship in surgical oncology at Roswell Park Cancer Institute in Buffalo, New York. Dr. Wang’s interests lie in the cancers of the liver, pancreas, biliary system, and upper digestive tract. Dr. Wang is one of more than 200 physicians affiliated with Beebe Medical Center. They represent nearly 30 different specialties. New residents are encouraged to establish a local primary care physician as soon as possible to promote continuity of their healthcare in both preventive and emergency situations. Beebe Medical Center provides information about physicians affiliated with the hospital available on its website, www.beebemed.org, or by calling Beebe’s Physician Referral Line at (302) 645-3332.